(Before beginning this week's focus story, send home a note to families requesting that they assist their child in finding one item to share with the class on this day. 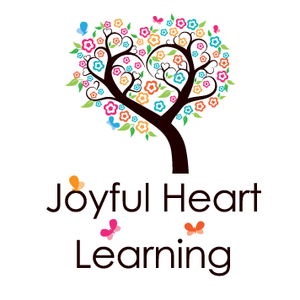 Ask families to discuss with their child the shape, color, and size of their item.) Have students sit in a circle and take turns sharing what they brought from home. Discuss each items significance as well as the shape, color, and/or size. Then sing the following to the tune of 'Mary Had a Little Lamb', inserting the student's name, object, and descriptive words. (Student's name) had a (object). It's (attribute) was (descriptive word). After sharing, explain that in this week's story, a little girl brings something unusual to school. Introduce title, author and photographer; Read aloud for enjoyment. What part of the lamb is its fleece? What else could it be as white as? Do your pets follow you around like Mary's lamb? Where? How does it make you feel? Why wasn't it all right for Mary's lamb to be at school? What does it mean that 'the teacher turned him out'? Why do you think the lamb waited for Mary all day? What lesson did the other children possibly learn? Sequence pictures from the story so as to put the events in order. Introduce the first companion nursery rhyme 'Mary Had a Little Lamb'. Read aloud the poem and discuss what they know from the clues in the poem and then have students share in the reading by echoing the lines after you; Have students find/mask letters in the poem such as l, m, and w.
Reread companion nursery rhyme 'Mary Had a Little Lamb' – choral read; Have students mask the rhyming words. Read a longer version of the story such as Mary Had a Little Lamb by Iza Trapani. Read one time through for enjoyment; Read a second time, stopping after each page for students to orally state the two rhyming words that they heard. Introduce the story The Lamb Went (a story composed and shared on the Early Childhood Chat board at Teachers.Net by Laura/K/TX). Read aloud and move the lamb pointer to the proper place in the book- corresponding to the text. Have students learn more about real sheep and lambs. This can be accomplished by either watching a video showing real lambs and the wool process or by showing photos, reading excerpts from factual books, and reading a book such as Charlie Needs a Cloak that shows the wool process; Discuss how lambs/sheep help us; Sequence pictures to show the correct order of steps in the wool process. 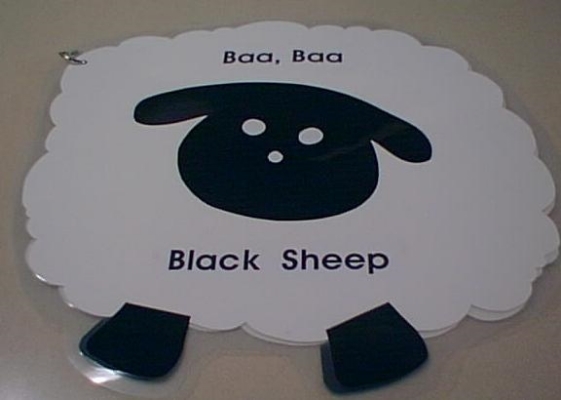 Introduce the second companion nursery rhyme 'Baa Baa Black Sheep'; Introduce terms such as 'master' and 'dame'; Discuss who is talking in this poem; Shared Reading - echo read..
Reread companion nursery rhyme 'Mary Had a Little Lamb' – choral read. Reread The Lamb Went; Have students make their own lamb pointers and pass out student Take Home Booklets of The Lamb Went; Reread together, with each child tracking the print and moving the lamb pointer in correspondence with the text. Companion Booklet: Reread The Lamb Went. Reread companion nursery rhyme 'Baa Baa Black Sheep'; Sing along with the song by the same title on the Raffi CD Singable Songs for the Very Young and have students tell you which word Raffi changed in the song; Prepare nine small lamb stick puppets- each colored a different color (white, pink, red, green, blue, yellow, orange, brown, black) for students to hold up as you sing the poem multiple time, changing the color word each time; Present students with the Baa Baa Black Sheep Manipulative book (below)and have students assist in changing both the color word and the color bowties. Work with students to make their own 'Mary Had a Little Lamb' poem booklets. Students work to write in the missing beginning or ending consonant letter as well as a few of the letters from the title (M, h, l, w, t, f, s, r, m ) and then color the booklet. Reread as a class and then students take home the booklet to share with their families over and over! 2) Make a sheep counting booklet with the pattern " I counted (numeral) sheep, but I still couldn't fall asleep." Their wool kept them cozy all night long. The farmer slipped away with one. And sheared the wool till he was done. Then there were 4 white fluffy sheep. Kids Farm - sheep pictures, etc.